3D Kits is another new product to me. 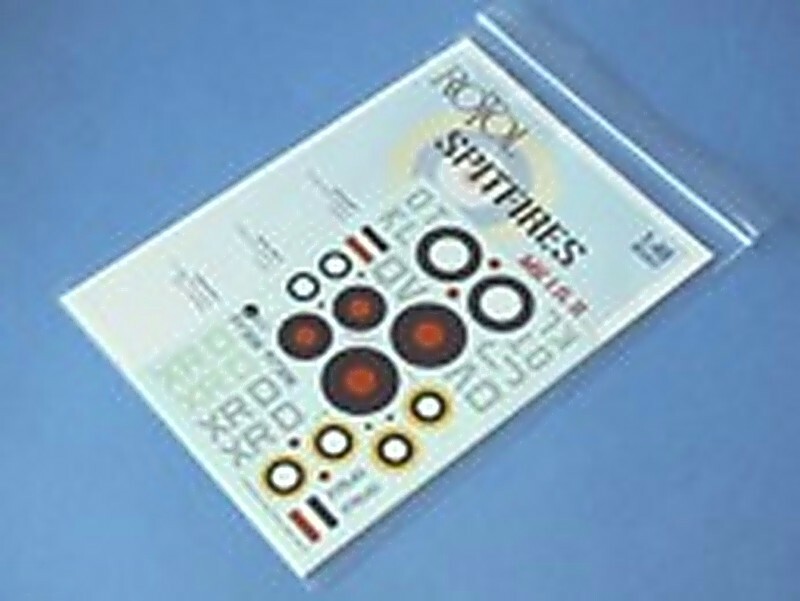 This decal sheet covers four Battle of Britain Supermarine Spitfires. As expected by today's modelers, these decals are in full and proper color as well as in perfect registry. The subjects covered include a Spitfire Mk I of March 1940 with a choice of two separate markings. Also a Spitfire Mk II flown by an American in early August and later August of 1941. Last is a Spitfire Mk II, one of seventeen presented to the RAF by the Belfast Telegraph, paid for by reader donations. These decals will help fill the void in your Battle of Britain model collection. Not having a model of a Mk I or II Spitfire I went to my local hobby shop and bought two of the newly re-released Revell Spitfire I's. These kits were first released in 1978 along with an excellent P-51 D, P-40 E, and a Bf 109 G-10. I have built the Spitfire a few times but this time everything you can think of as a modeler went wrong. So I trashed the two and pulled a Hasegawa 1/48 Spitfire Mk Vb from my dwindling stash of kits. Fortunately in the Hasegawa kit there were throw away parts for a Mark I, so I discarded the Mk Vb parts (except for the wing) and built a Mk I for the decals. After the bogus Mk I was built, painted, and gloss coated, decals were applied using the tried and tested Micro Scale System. The decals went down without any real problems with the exception of the roundels on the bottom of the wings, as indicated in the photos of the model. Despite a very few minor issues I would gladly recommend these new decals to all model aircraft builders. It is my understanding that this company also produces some conversion items for Spitfires so I hope we will see them soon. I would like to thank 3D Kits for providing the decals for review and the IPMS/USA Reviewer Corps for allowing me the privilege of reviewing it.